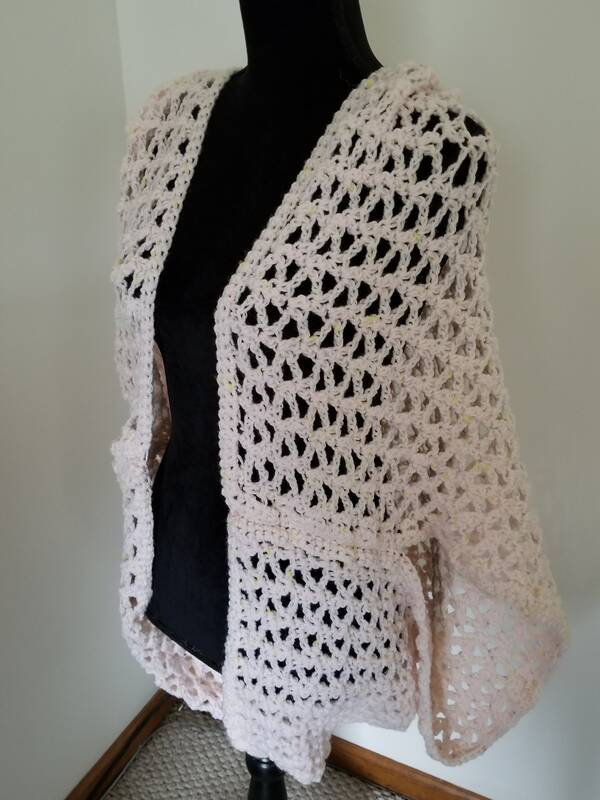 This lightweight lacy crocheted shrug is great for all seasons, day and night. 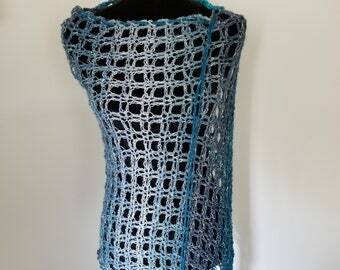 Wear it in the summer over a strapless sundress or with a tank top and a pair of capri pants. Fall and winter wear it over a turtle neck sweater with a pair of jeans. Endless combinations. This shrug is hand crocheted using an acrylic/wool yarn in a very pale shade of pink with scattered flakes of blue and yellow. One size fits most women. If you would prefer a different color, please convo me. Machine wash gentle cycle, tumble dry on low.